This process of choosing the best digital agency for your unique business needs is a “love affair” of sorts, a professional journey that will take you from "Hello, you seem interesting" to "Oh my god, where have you been all my life? ", with maybe a few struggles along the way. And the choices you’re faced with can be overwhelming. The market is flooded with agencies of all sizes, specializations, and capabilities, where trying to choose the right one can almost feel as overwhelming and trivial as swiping right on a dating site. But, by asking the right questions beforehand, you’ll be able to avoid some of the risk that comes with getting your heartbroken (or, in other words, choosing an agency that isn’t the right fit for your company). Ask about the process they will undergo to get to know your business in order to pinpoint your needs and align their recommendations and strategies with those needs. This is typically referred to by the agency as their “Discovery” phase, and ideally the agency should do as much research as possible, immersing themselves into your business structure and teams, to learn as much as they can about your pain points, needs, challenges, and goals. Find out beforehand how thorough an agency will be in “discovering” your business, and if they don’t seem to put much emphasis on this phase, that could be a red flag that they’re not a good match for you. Ask the digital agency if they have ever worked with a business like yours in the past, whether that means in your industry or specific sector or market, or even a business of your size and structure. While it’s often best to find an agency that is already familiar with and established in your field and understands your industry (why re-invent the wheel? ), you also want to make sure that the agency doesn’t have any dust on them. Look for an agency that makes innovation and learning a priority, but that is also experienced with your unique business vertical. You want an agency that knows what works and what does not work for your industry and business so they can guide you with authority and experience. But, you also want an agency that doesn’t settle for the status quo but is always looking for new, interesting ways to outshine competitors, keep up with cutting edge trends, and who isn‘t afraid to make a few waves and disrupt the market. When you hire a digital marketing agency, you’re hiring a partner, a collaborator, a team who will work with you, not only for you, to achieve real growth for your company. Make sure you have a clear understanding from the outset of the level of involvement you or your team will need to commit to in each phase of the project and the kinds of data, access, or resources you’ll be expected to provide the agency so they can work on your behalf. Ask every digital agency you’re considering hiring what you can expect in terms of reporting and analytics and which methods they use to communicate reports on progress and results. This is one of the most important questions to ask, because, of course, true data does not lie, and the due diligence every agency must do when reporting must be thorough, accurate, and meaningful for your business. Good reporting and data from your digital agency not only helps to justify your company’s spend on these initiatives, but it also ensures you’re getting the results you need and want in the digital world. Don’t be shy when it comes to bringing up fees and billing, even early on in the process. Ask the agency exactly how and when they bill their services. For example, are they performance-based, or do they charge a flat fee? How transparent are they about the billing process? All of this should be clear from the get-go. 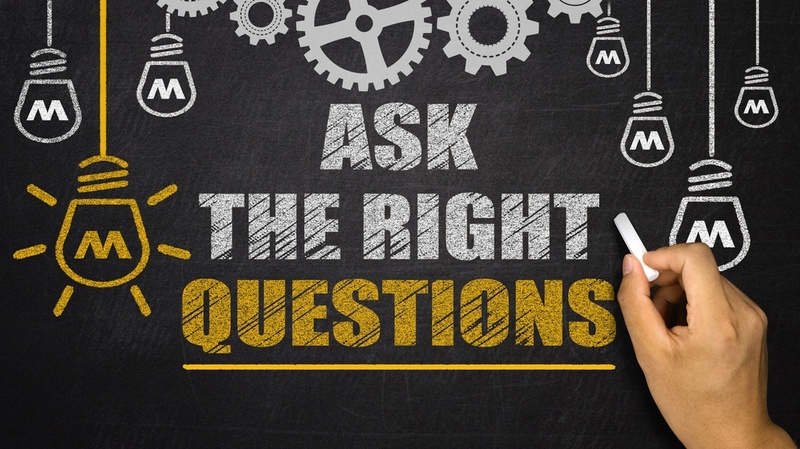 After you ask about their billing processes, follow that up with a specific question about overall or projected cost. Ask if there are any variables or contingencies that could affect cost along the way. By asking to see examples of their work or some relevant case studies, you can get an even better sense of how they work and the kinds of results they’ve gotten in the past for clients like you. This is a key, yet often overlooked question, to ask an agency you’re thinking about hiring. When you ask to see examples of their work, mention that you’d also like to see at least one example of an unsuccessful project or when they have failed. There is learning in failure, so by seeing the mistakes they’ve made in the past and how they’ve learned from them, you’ll learn how truly “agile” and adaptive the agency is. Make sure you have realistic expectations about deliverables and time until results. You also want toe agency to break down the factors that could affect the results and the timing in which you can expect to see progress. Things like traffic, your product, or seasonality. A good agency will provide you with a reasonable and honest timeline that takes all of these factors into account. Ready to see if Multiplica is the right digital marketing agency for you? Email us at optimization@multiplica.us!